But how best to clean your mattress? You certainly can’t fit it in the washing machine and it’s not a good idea to saturate the fibres with water. Instead, consider leaving the work to us, at Chelsea Cleaning. We’re proud of the industry-leading process we use to clean mattresses. Skin cells, animal dander, dust, pollen, mould spores and other dirt accumulate and, over time, mattresses can become a breeding ground for dust mites and bacteria. This applies especially in warm climates like ours. Just vacuuming isn’t sufficient to rid a mattress of deeply ingrained dirt or of dust mites, fleas, bed bugs or other pests (or the waste they leave behind). These contaminants can cause allergies and exacerbate conditions such as asthma. Even if you don’t need to worry about allergies, it’s not pleasant to think about breathing in dust or mould spores while you’re sleeping. You won’t get a good night’s sleep if you’re worrying about critters in your mattress! 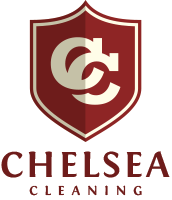 Over the 30 years that Chelsea Cleaning has been in business, we have developed an effective process for cleaning mattresses that yields the best results without using excessive chemicals or detergents. This removes any loose dirt, dust or dead skin on the surface. It also gets rid of animal dander and hair, which can accumulate if you have pets. After vacuuming, we use industry-leading stain removal formulas and emulsion cleaners to treat any soiled areas or stains. We then do a steam clean that uses hot water extraction. This gets deep into the fibres and removes ingrained dirt and bacteria. This is just to remove any dust that might have settled on your mattress while cleaning and to re-fluff the surface fibres. Finally, we allow the mattress to air dry completely, in an area with plenty of fresh air circulation. This prevents mould or mildew from forming. 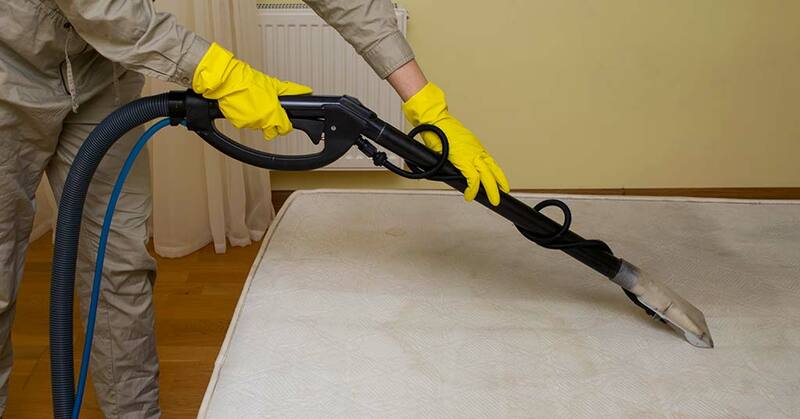 It’s recommended that you have your mattress deep cleaned about once a year. If you allow pets on your bed or if you have small children, you might need to consider professional mattress cleaning more often. In between each clean, you can help keep on top of mites and other pollutants by vacuuming your mattress regularly using a filtered vacuum cleaner. 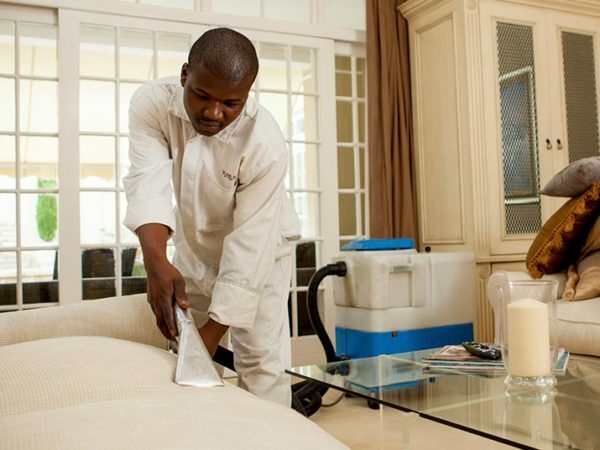 At Chelsea Cleaning, we have many years of experience in professional mattress cleaning. Contact us for more information or a quotation and we’ll be happy to help.